In the 1960s, two small liberal arts colleges were founded by community members recognizing a need for private education in our newly formed state of Hawai‘i. In 1992, a picturesque Windward college merged with a downtown university, uniting the strength of two academically strong institutions. In 2014, the Oceanic Institute formally merged with the university, bringing additional multi-disciplinary research opportunities to HPU faculty and students. Aloha Tower Marketplace’s 2015 revitalization includes oceanfront dorms and community gathering spaces. We are proud to be able to offer our students a traditional college experience through Hawaii Loa Campus, connect them with Hawai‘i’s business center via our downtown campus, and provide innovative learning environments through Oceanic Institute of HPU and Aloha Tower Marketplace. Despite expanding mauka to metro to makai, HPU continues to search for new ways to better serve our students by redefining the frontier of higher education. Rev. 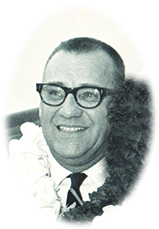 Harry S. Komuro led the founding of Christian College of the Pacific, with land donated by Harold K. L. Castle. Another view of the Christian College of the Pacific as seen from Pali lookout. Christian College of the Pacific changes its name to Hawaii Loa College. 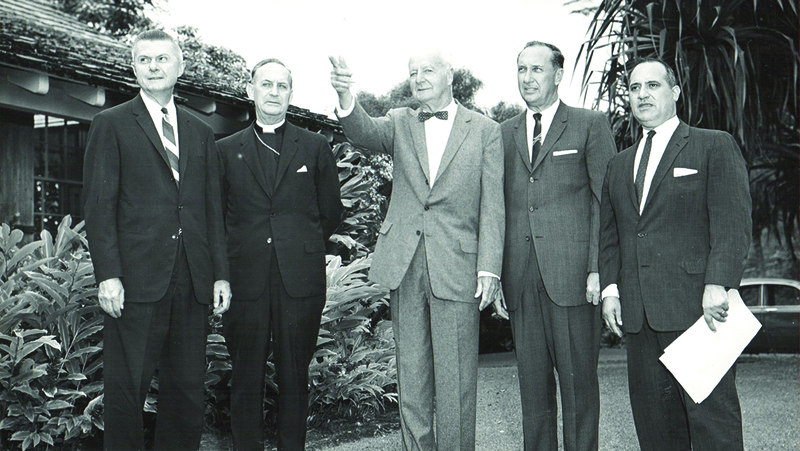 Photo: September – 1964 – Mr. Harold K. L. Castle and Dr. Joseph J. Bevilacqua officially accept the name of Hawaii Loa College. Dr. Chandler W. Rowe becomes Hawaii Loa College’s first president. The state of Hawai‘i grants a charter of incorporation for a nonprofit to be called Hawai‘i Pacific College to Eureka Forbes, Paul C.T. Loo, Elizabeth W. Kellerman, and the Reverend Edmond Walker. Dr. James L. Meader becomes Hawai‘i Pacific College’s first president. President Meader, in consultation with community leaders, develops a comprehensive educational program to meet various higher education needs for the state of Hawai‘i. After Dr. Meader retires, the Board of Trustees elects the Reverend George A. Warmer as Hawai‘i Pacific’s second president. Under President Warmer’s leadership, the College implements academic programs in the liberal arts and cooperative education. President Warmer retires and Chatt G. Wright becomes Hawai‘i Pacific College’s third president. 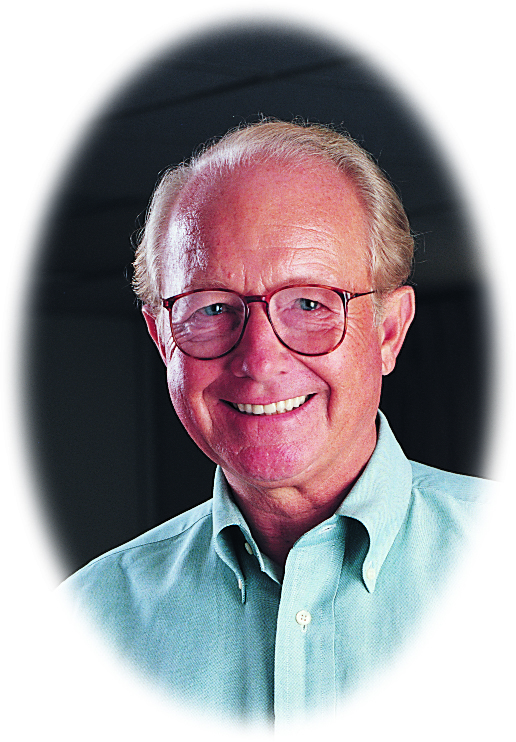 Under President Wright’s leadership, Hawai‘i Pacific continues to expand and develop throughout the 1980s, and in 1990 becomes Hawai‘i Pacific University (HPU). Hawaii Loa College philosophy professor Phillip Bossert becomes the second president. Marvin Anderson becomes Hawaii Loa College’s third president. Dr. Dwight M. Smith becomes Hawaii Loa College’s fourth president. Hawaii Loa College merges with Hawai‘i Pacific University. 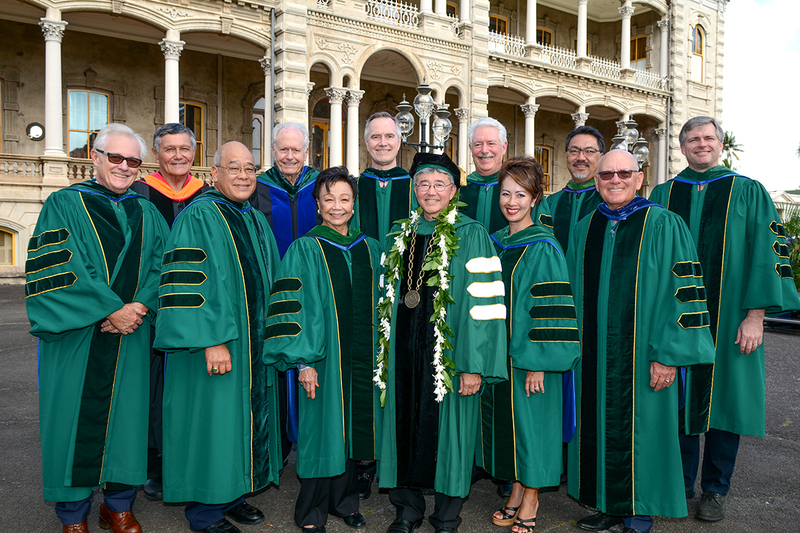 This historic merger brought together the strength of two academically strong institutions and helped to expand Hawai‘i Pacific University’s role as a leader in higher education for the state of Hawai‘i and the Pacific Basin. Hawai‘i Pacific University’s Board of Trustees names Dr. Geoffrey Bannister as HPU’s fourth president. Governor Neil Abercrombie signs a special purpose revenue bond for Hawai‘i Pacific University, issued by the state legislature that will help HPU raise as much as $120 million for critical capital projects at its three locations around O‘ahu. HPU completes merger to bring Oceanic Institute formally into the university. 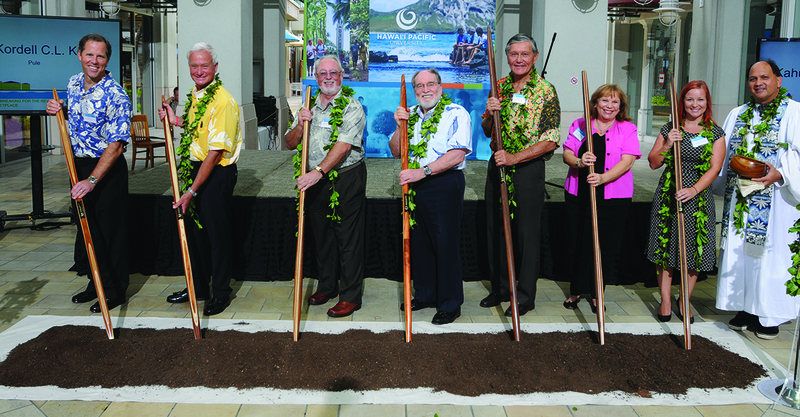 HPU holds the blessing and groundbreaking for the revitalization of Aloha Tower Marketplace. Hawai‘i Pacific University celebrates its 50th anniversary. Hawai‘i Pacific University welcomes John Gotanda as its fifth president.